Beautiful books to commemorate a special day, a beautiful holiday or anything you fancy! Wording is customisable to suit your occasion. 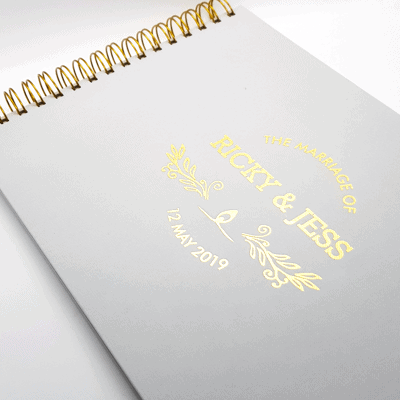 Inner pages can be customised too – blank, lined, or guest book style. The books is A4 size, with 50 pages inside. A4 hardcover, gold foiled, wire binding. Inner pages are 120gsm ivory paper.